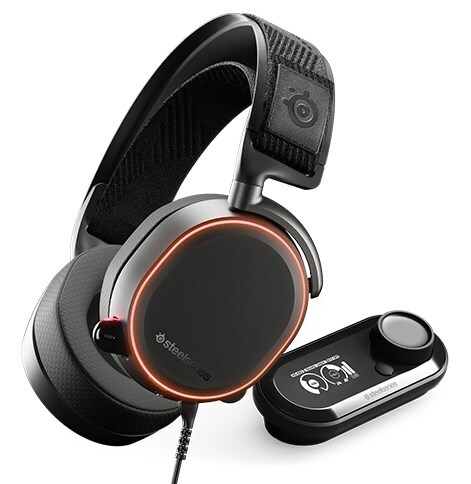 The breakthrough, audiophile-level systems, from SteelSeries raise the stakes in premium headset performance for gaming and entertainment on PlayStation 4 consoles and PC. While the gaming graphics card and displays market continues to grow and push consumer expectations forward with beautifully immersive visuals, audio reproduction in speaker and headset solutions have fallen behind the curve. Today, SteelSeries introduces a breakthrough in gaming audio and an industry first with the introduction of the Arctis Pro Line. The Arctis Pro line is available now globally at SteelSeries.com. The Arctis Pro + GameDAC is available for $249.99 / €279.99 and the Arctis Pro Wireless is available for $329.99 / €349.99. For more information about the complete line of SteelSeries’ Arctis Pro headsets and the Arctis Pro accessory packs, visit https://steelseries.com/arctispro.